Six Degrees of Separation is where Canadian Delys McMillan got her idea of bringing the world closer through a chain of good deeds. She called her project '7 Degrees of Karma' and fully conceptualized it with her younger brother Chad in 2006. Sadly, the project didn't take off -- Delys passed away in 2010. 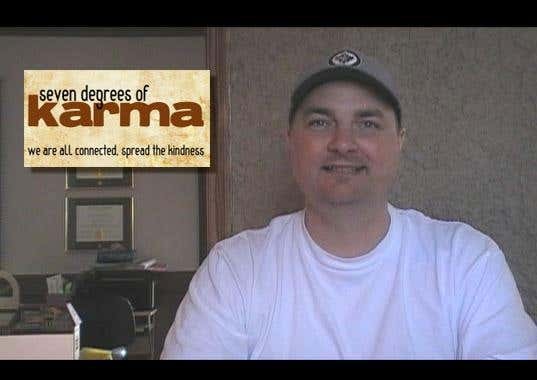 Over beer one night, Chad talked to his good friend Todd Johnson about Delys and her Karma project. He wanted to try and finish it as a memory to her. Todd replied that he could do it for sure, since he is a developer himself, and owns a website company called Winnipeg Web Guy. 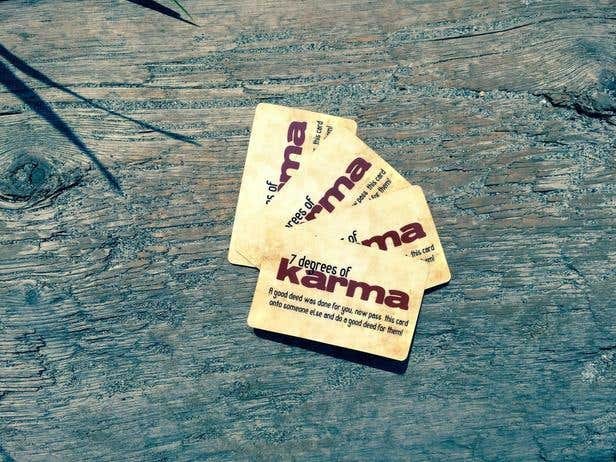 The project kicked off, starting out with the Karma Cards production and the website development. The idea works like this -- a person will either purchase or be given a Karma Card. He will pass it on to someone after he has done something nice to that person. Hopefully, the receiver will keep the card, do a good deed, and pass it on once again. 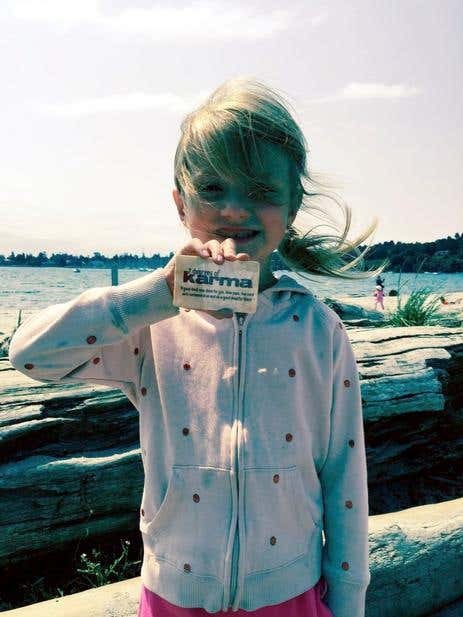 Whenever a card is passed, the recipients will go to the Karma Website, enter the six-digit code at the back of the card, their location, and the good deed done for them. They can even include a photo or a video. The website tracks how far the card has travelled. Todd's goal was to implement a map that would have polylines and markers to see how far a chain of good deeds can go. "I think Delys would be very proud," wrote Chad in the website's About Us page. Only one important detail was missing from the site -- the map. "I tried for one year of my life to be able to get the map to work in various CMSs. I can usually figure things out for just about any request but this had me seriously frustrated," Todd said. 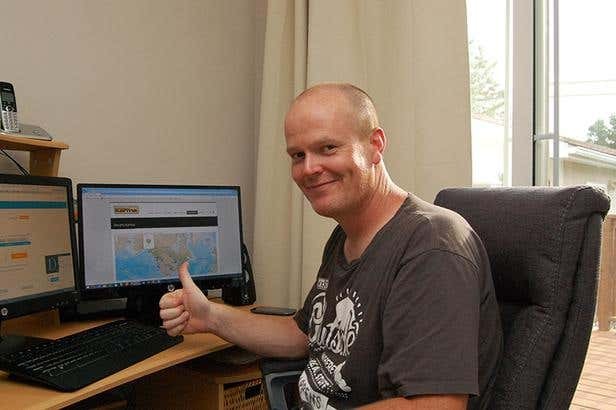 He was at the point of giving up but remembered he used a freelancing site when he encountered a problem about Joomla. He googled 'Freelance Drupal', saw a link that said 'Drupal Jobs and Contests', and found Freelancer.com. He posted a project and picked Debaryadas from Kolkata, India among the bidders. The reason was because he seemed the most in tune with Todd's requirements and was able to answer questions that made Todd confident about his skills. Debaryadas' work allowed Todd to map the card submissions, track its location and how far it has travelled, and let card passers be informed if anyone else entered their card number. All these cost $705 Canadian Dollars. For the same type of work, it would have cost Todd around $5,000 CAD locally. "To say that his work has been exceptional has been an understatement. He has implemented three different modules for me now to fit exactly with our needs. He has been prompt, courteous, and his knowledge of Drupal is unbelievable. He has done things in hours or days that literally took me months to try to figure out. Seriously, I wish I had come to Freelancer.com on day one." Todd and Chad launched a successful Kickstarter campaign that allowed them to gather funds for the Web development and printing of the cards. So far, they are starting out at 500 cards to see how it goes but will eventually print thousands. They are charging a small fee for the cards to cover printing and shipping costs. "My friend is planning on speaking with schools and businesses to promote the idea. Delys always told him about how people should be nicer to each other. I guess this is his attempt to honor his sister's wish," Todd said.